Thermodyn Global Sealing has delivered high quality rubber and gasket products to the U.S.A. sealing and rubber industry since 1999. 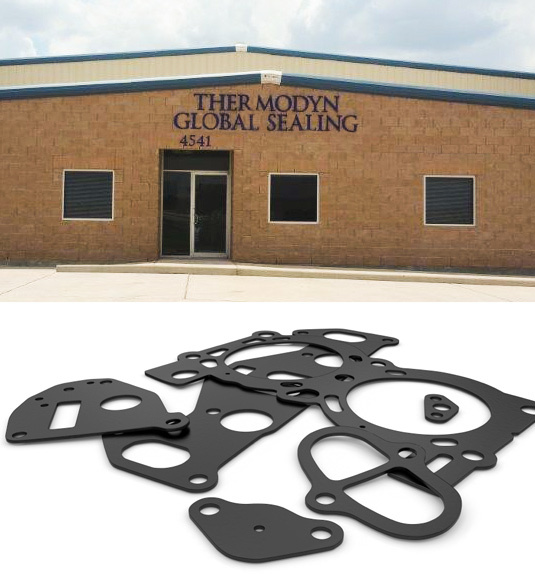 Thermodyn Global Sealing is a wholesale distributor for gasket materials representing their solely owned and joint venture manufacturing operations. Thermodyn Global Sealing offers a wide variety of products including sheet rubber, non- asbestos sheets, Viton™, sponge, vegetable fiber, cork/rubber and many other custom sealing materials and products from the U.S.A. and abroad. Our large warehouse offers you an inventory second to none. With Thermodyn Global Sealing whatever your rubber needs are we can help. Production runs may be large or small scale to meet your business needs. Custom made compounds that meet your specified needs with durometer choices from 35 to 85 durometer are available. We serve a diverse clientele in gasket manufacturing and supply throughout the United States of America. Our customers demand professional responsiveness when producing domestic and offshore quality rubber products. We offer an excellent quality product that will bring affordability to the cost of your next project.